BBC One has unveiled an all-star cast for David Farr’s (The Night Manager) new eight-part event drama Troy: Fall Of A City. Louis Hunter (The Fosters) and Bella Dayne (Guerrilla) will star as Paris and Helen, the two lovers whose passionate affair plunges Greece and Troy into war, threatening to bring both empires to their knees. David Threlfall (Shameless) plays Paris’ father, King Priam of Troy, alongside Frances O’Connor (The Missing) as Hecuba, Queen of Troy, and Tom Weston-Jones (Dickensian) as their eldest son Hector. Joseph Mawle (Ripper Street) will star as Odysseus, Chloe Pirrie (War & Peace) as Andromache, Johnny Harris (This Is England 86-90) as Agamemnon, David Gyasi (Interstellar) as Achilles, and Jonas Armstrong (Dark Angel) as Menelaos, the King of Sparta whose marriage to Helen is destroyed when Paris arrives in his city. Further casting includes Alfred Enoch (How To Get Away With Murder) as the Trojan general Aeneas, and Aimee-Ffion Edwards (Luther) as Priam and Hecuba’s daughter, Cassandra. An epic tale of mortals and gods, Troy: Fall Of A City is told from the perspective of the Trojan royal family at the heart of the siege, Troy: Fall Of A City is a rich story of love, intrigue, betrayal and belonging. Troy: Fall Of A City is produced by Wild Mercury in association with Kudos for BBC One and Netflix, and written by David Farr, Nancy Harris (Good Karma Hospital), Mika Watkins (Lucky Man), and Joe Barton (Humans), and will be directed by Owen Harris (Kill Your Friends, Black Mirror) and Mark Brozel (Humans, Dickensian). 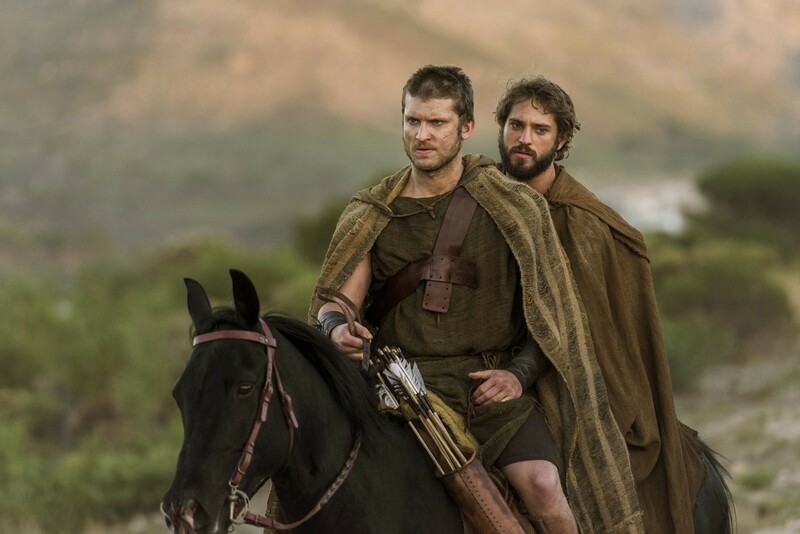 Troy: Fall Of A City is filming on location in Cape Town and will premiere in the UK on BBC One and globally outside of the UK on Netflix.